Tensions are mounting in the Mexican border city of Tijuana now that the biggest migrant caravan of some 3,000 Central American migrants has arrived. On top of the migrants that have arrived in the past week, the Department of Homeland Security Secretary Ms. Kirstjen Nielsen estimates that some 6,200 individuals with the migrant caravan are camped out in Tijuana, Mexico, and another 3,000 in Mexicali. Related coverage: <a href="http://thegoldwater.com/news/42824-Caravan-Trump-Temporarily-Closes-Mexico-Border-to-Fortify-Fence-No-Climbers-Anymore">Caravan - Trump Temporarily Closes Mexico Border to Fortify Fence ‘No Climbers Anymore’</a>. She claimed that this would result in an unbelievable “8,000 to 10,000 migrants amassing” at our southern border. “The caravan does not give one a special right to enter this country,” Ms. Nielsen stated while adding that the Central American migrants with the caravan will have to “get in line” when it comes to the asylum-seeking process. This is in fact what the residents of Tijuana fear and why they are protesting daily against the caravan’s arrival. Yesterday there were even shouts of ‘Mexico first’ to be heard. People in Tijuana depend for their livelihood on the border crossing staying open and they fear that the US will close the passage as soon as winter sets in and the migrants realize that they will be stuck in Mexico for many months to come. 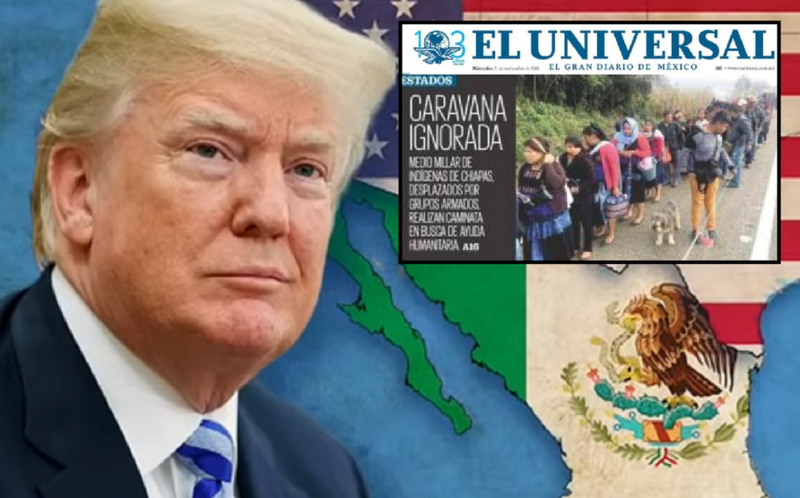 Related coverage: <a href="http://thegoldwater.com/news/42833-Caravan-San-Francisco-Judge-Halts-Trump-Asylum-Ban"> Caravan - San Francisco Judge Halts Trump Asylum Ban</a>. If Tijuana doesn't want them why would we???!!!??? Time to walk home fellas, and I doubt the trucks and busses will be as accommodating on the return trip. Soros only buys one way bus tickets and that way is North! SOROS AND THE U.N BOTH SPONSERED THIS ONE TOGETHER. THATS WHY WE SHOULD LEAVE THE U.N. IN ADDITION TO THE E.U.